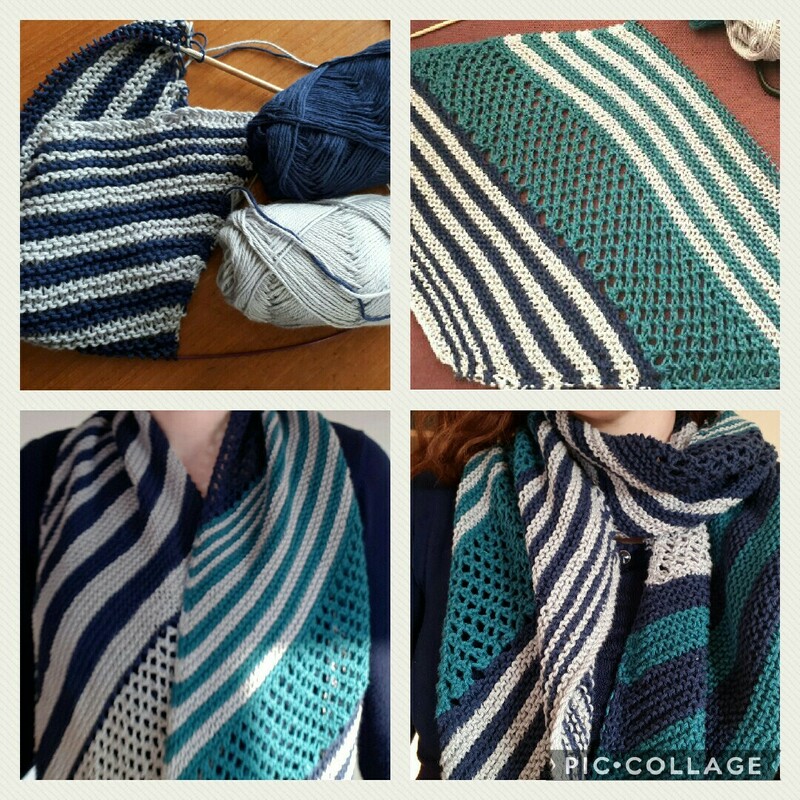 Thanks everyone for your lovely comments on my City Cape:) As promised – I’m starting this years knitting posts with my first make of last year…. 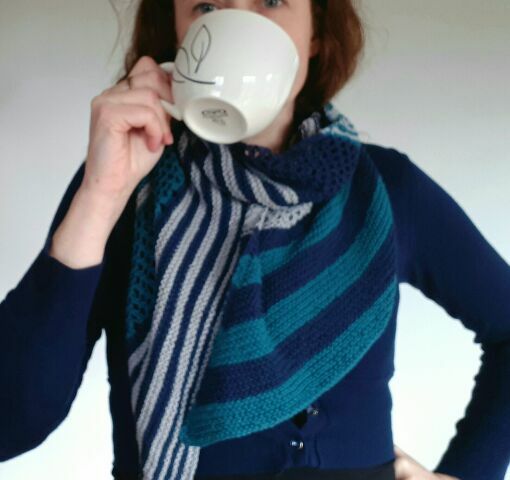 Somehow it never made it to the blog even though I was pretty chuffed with it ! 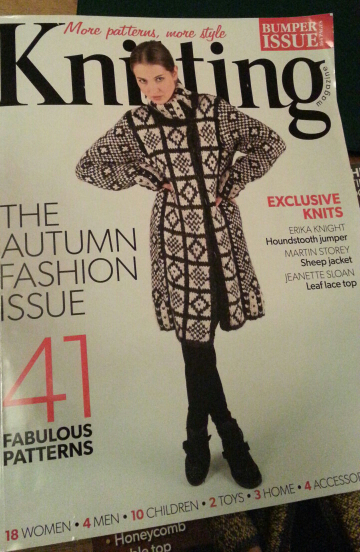 The pattern came from Knitting Magazine Issue 121. 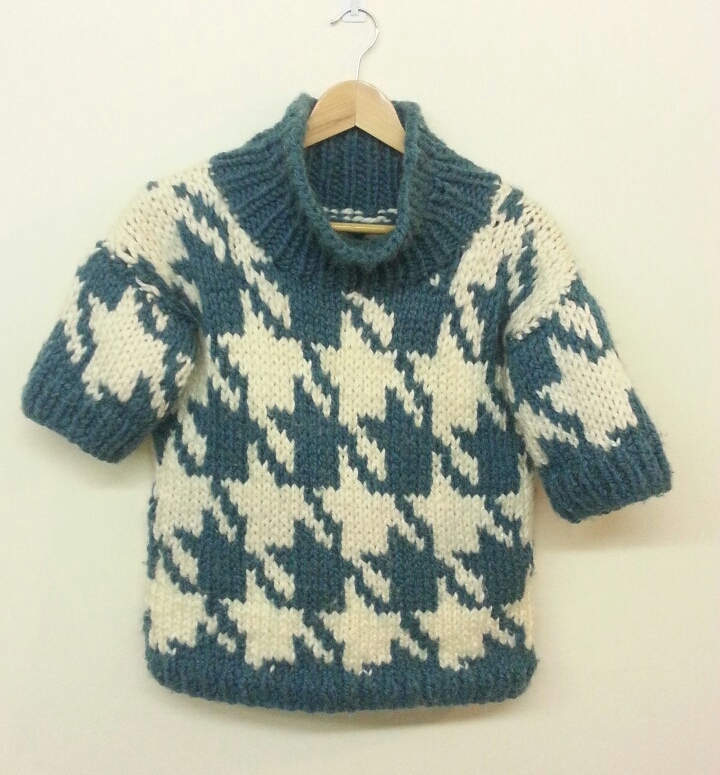 It was designed by Erika Knight and uses very chunky yarn and 10 & 12 mm needles! 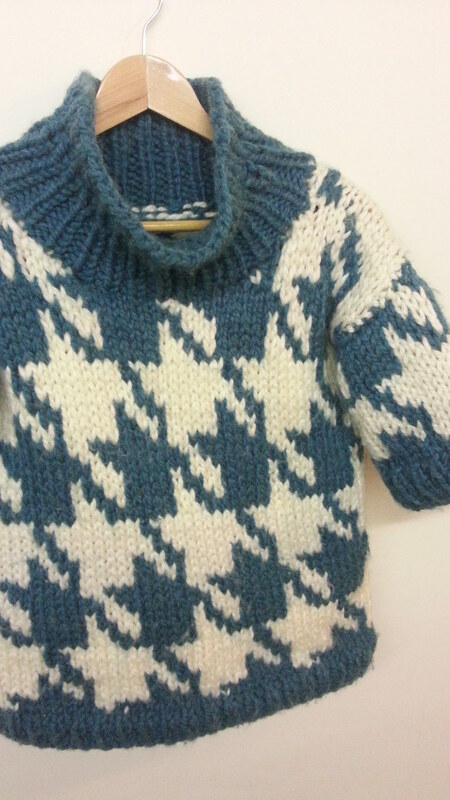 I used a different yarn to the pattern – Pampas Mega Chunky by Wendy which I bought locally. I would have preferred black and white but my options were limited because I was eager to start straightaway! I also used 8mm and 10mm needles to get the required tension. This means you are wearing a double layer of thick yarn. Very cosy! 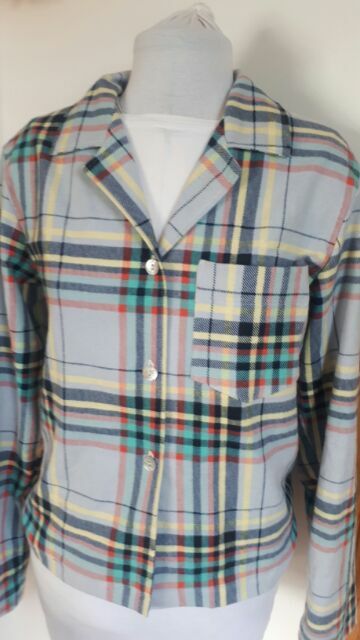 This was one of the first patterns I ever modified. 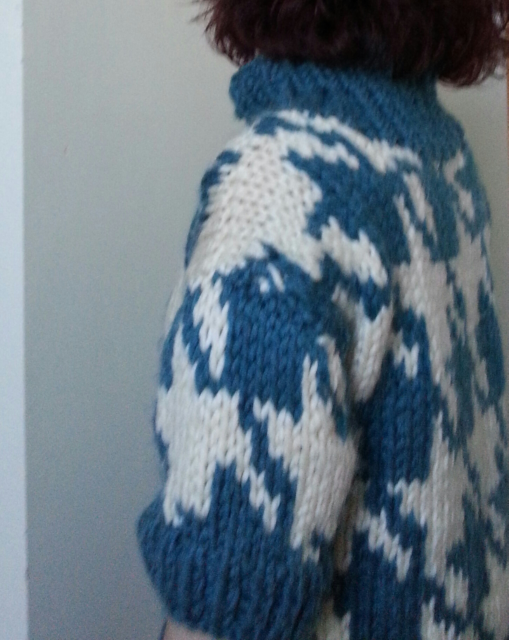 I had knit half of the front- but it looked so much wider than I would like to wear. So I ripped it back! Something I rarely do, but it was so worth it to get the fit I wanted. 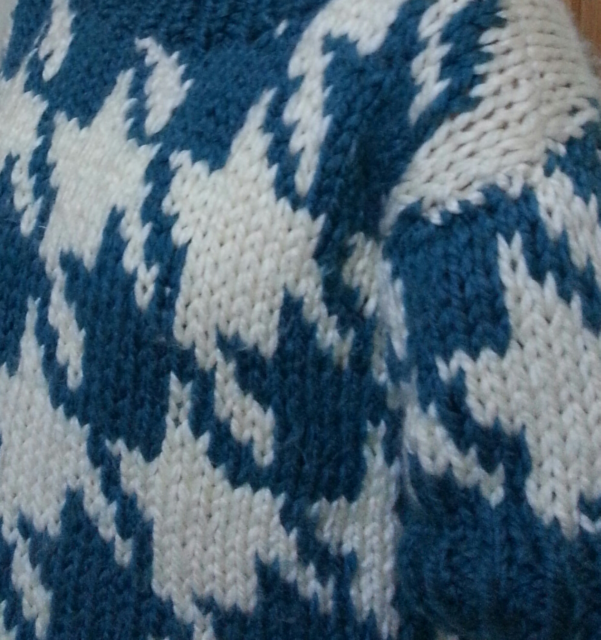 I made the smallest size and removed one repeat (10sts) of the pattern from the width. 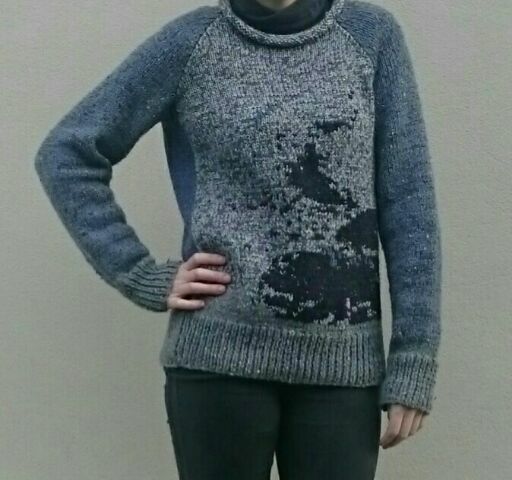 By removing a repeat from the front and back it meant my sweater became 8″ narrower. With a finished circumference of 40″. It’s a boxy jumper and meant to be a loose fit. The sleeves come to elbow length. 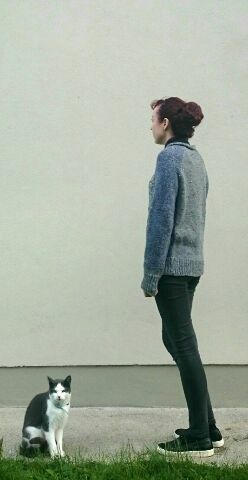 I originally thought it didn’t make sense to knit a very warm chunky jumper with short sleeves? 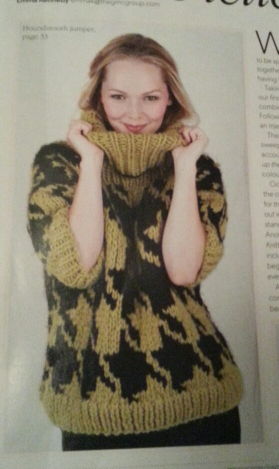 I mean – if it’s cold enough for a thick jumper then surely you want your arms covered too?? But now it makes perfect sense… long sleeves would be too heavy and awkward. It’s perfect with a long sleeved tee underneath so I’m warm enough and still able to move my arms easily while working! 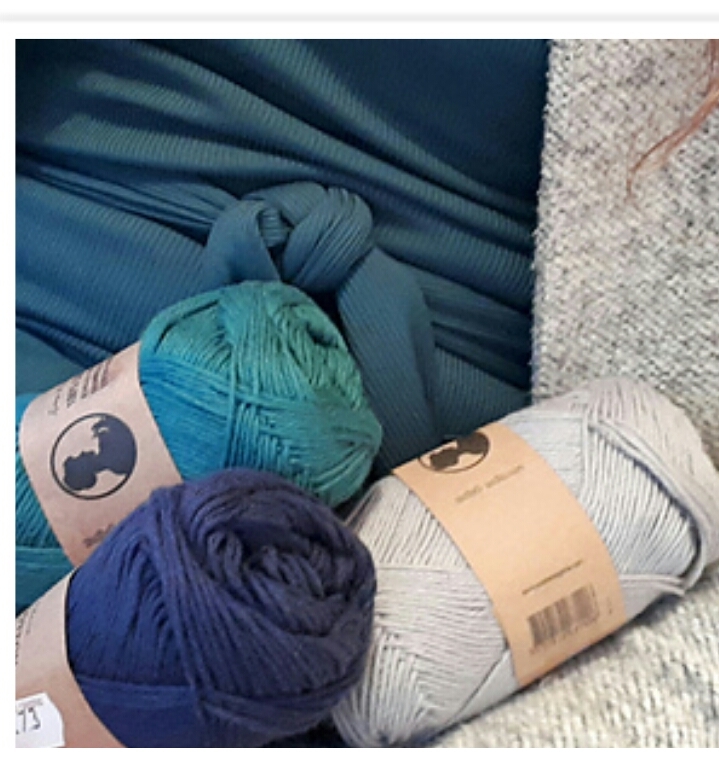 The only other change was out of necessity …… I was running out of yarn! 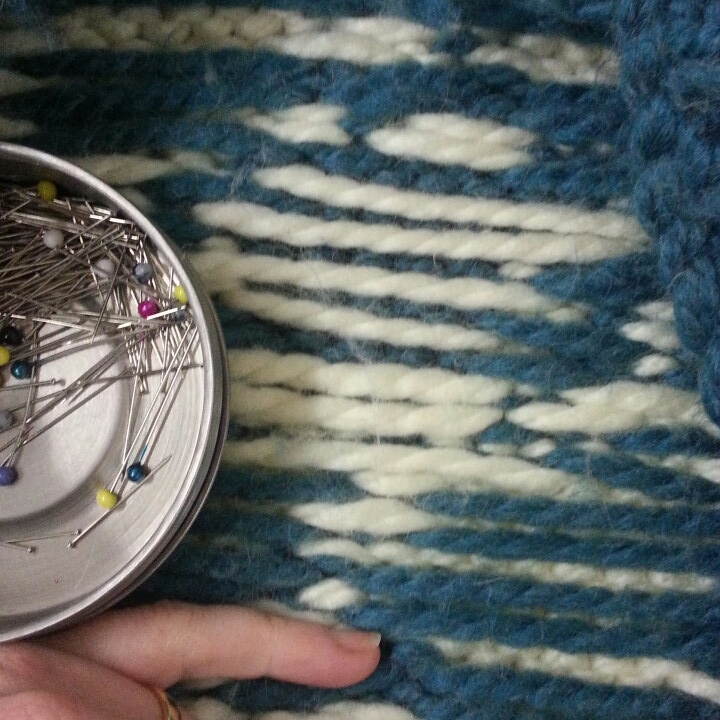 So I couldn’t do a cowl collar – instead I knitted 5″ of ribbing and cast off loosely. So that’s it – it’s my go-to sweater when I’m feeling cold and just want something easy to wear with jeans!